Coleman (foot) received a restricted free agent tender from the Giants on Wednesday, Ian Rapoport of NFL Network reports. Analysis: New York reportedly utilized an original-round tender on Coleman worth a non-guaranteed $2.025 million, according to Dan Duggan of The Athletic. Though Coleman only appeared in eight games with the team, the Giants apparently were impressed by what he was able to do as a depth wideout and return man. Given the compensation another team would have to submit for his services, Coleman is highly likely to return to New York in 2019. 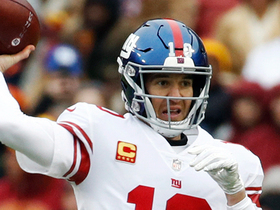 Coleman (foot) caught five of eight targets for 71 yards across eight games with the Giants in 2018. He also recorded 598 yards returning kicks and 19 yards returning punts. Coleman underwent an MRI on the foot injury he suffered during Sunday's 36-35 loss to the Cowboys, Art Stapleton of The Bergen Record reports. 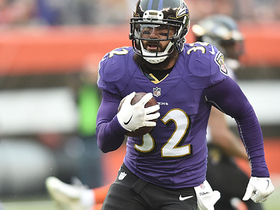 Coleman recorded one reception for eight yards in Sunday's loss to the Titans. Analysis: Coleman plays a larger role on kick returns than he does on offense, as he racked up 91 return yards Sunday. However, with Russell Shepard (ankle) and Odell Beckham (quad) battling injuries, there's a chance Coleman could see expanded reps on offense Sunday in Indianapolis. Coleman caught both his targets for 43 yards during Sunday's 40-16 win over Washington. Analysis: Coleman played more offensive snaps (42) during Sunday's win than in his previous three games in New York. The 24-year-old's increased workload came with Odell Beckham Jr. (quadriceps) sidelined. Coleman looked good as a deep threat, averaging 21.5 yards per reception, but with Beckham likely to return against the Titans in Week 15, Coleman will be hard-pressed to attain fantasy relevance this season. 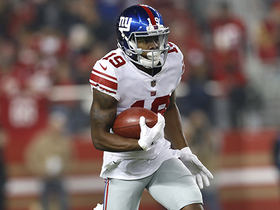 Coleman served as the Giants' top kick returner and caught his only target for nine yards during Sunday's 38-35 win over the Buccaneers. Analysis: Coleman returned five kicks for 134 yards. The third-year pro showcased some of the athleticism that made him the first receiver off the board in the 2016 NFL Draft during one 40-yard kick return, his longest of Week 12. The 2016 first-round pick still has yet to receive more than one target during a single game in New York's offense, but could earn a stable role as the team's No. 3 wideout if he's able to continue showing well. 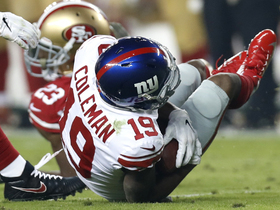 Coleman had a strong game as the team's kick returner and also caught his only target for 11 yards against the 49ers on Monday night. Analysis: He's buried behind Odell Beckham, Sterling Shepard, Evan Engram and Saquon Barkley in the offense, but Coleman was the first receiver taken in the 2016 draft, so it's worth keeping an eye on him should the Giants ever have a better quarterback to power the offense. New York Giants quarterback Eli Manning drops in a 30-yard dime to wide receiver Corey Coleman down the sideline. 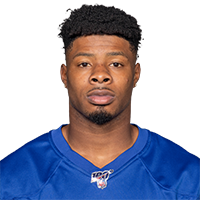 New York Giants wide receiver and kick returner Corey Coleman uses speed to return kickoff 51 yards. New York Giants quarterback Eli Mannning makes pinpoint first-down pass to wide receiver Corey Coleman. 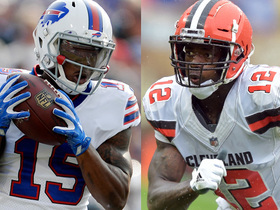 The New England Patriots have released wide receiver Corey Coleman in order to make room on the roster for newly-acquired wide receiver Josh Gordon. 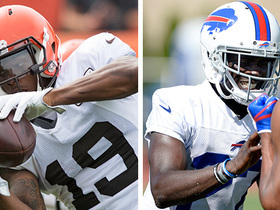 NFL Network's Kimberly Jones brings the latest information from Bills training camp on the team's acquisition of wide receiver Corey Coleman and wide receiver Zay Jones being cleared for practice. 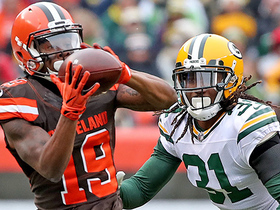 Cleveland Browns quarterback DeShone Kizer somehow escapes pressure, but the pass goes right through wide receiver Corey Coleman's hands. Baltimore Ravens safety Eric Weddle intercepts the pass from Cleveland Browns QB DeShone Kizer and gets 13 yards on the return. 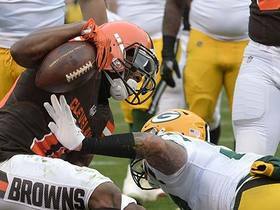 Cleveland Browns wide receiver Corey Coleman dives for 2-yard TD. 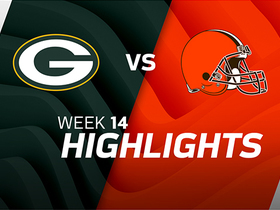 Cleveland Browns QB DeShone Kizer hits wide receiver Corey Coleman for a 20-yard catch.